Korg microKxR is an AudioUnit and VST Editor / Librarian plug-in to control 1st gen Korg microKorg hardware synthesizer right from your DAW. Korg microKxR AudioUnit & VST Editor / Librarian DEMO downloads - DEMO limitations can be found from FAQ tab below. Korg microKxR AudioUnit & VSTi Librarian Editor Plug-in is plug-in to control your Korg microKorg right from your DAW. With microKxR, you can work with your Korg microKorg by the same way you use your VSTi and AudioUnit plug-ins. microKxR will recall your patch settings when you open your project and the data will be sent to your Korg microKorg automatically once you open your project. The only thing you need to worry, is that you power-up your Korg microKorg synth. Since there are a lot of great software synthesizers in the markets today and because they are so fast to use, we wanted to bring this functionality to every producer out there with Korg microKxR plugin and 1st generation microKorg series model. It is now much faster to scroll thru patches & make edits within your DAW. 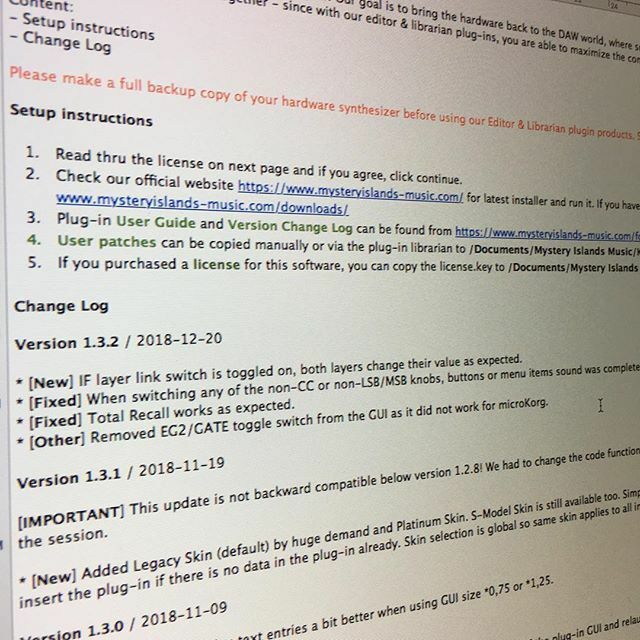 The best part is, when you reopen your project, you don’t have to worry about the patch data you had on your synth while producing: Our plugin stores all the data within the project and when you reopen the project, all of the used data gets sent to your hardware, automatically! No more external applications for saving, loading or transferring patch data. Welcome total recall. Control 1st generation Korg microKorg series synthesizer directly from your DAW. Store any MS2000 / MicroKorg compatible soundset in your HDD library folder and browse it from our plugin. Load our microKxR Plugin and select appropriate MIDI terminals from the upper right corner where your microKorg is connected. Only MIDI in and out, MIDI Thru is not supported. Plugin is now ready to receive and send data to your microKorg. Fire up your microKorg and enter settings. This is a little bit tricky, so we wrote a guide how to set everything properly for microKorg. You can read it by clicking the link below. It is important to filter hardware MIDI messages coming from the Korg microKorg to avoid double processing the messages. Double processing happens when message is first received via the plug-in MIDI interface and then again from DAW MIDI interface. Our GUI design is made to make everything from sound design to patch editing as smooth as possible. When you push a button or twist a knob in your hardware, software will respond at appropriate layer/part. All the edits are stored within the project, so once the project is opened up again, Total Recall will send the data to hardware automatically. Korg microKxR comes with ability to control Timbre 1 and Timbre 2 from the plug-in. This means, you can have Lead sound on Timbre 1 and Bass sound on Timbre 2 if you wish. You can send patches from Librarian Browser to your chosen Timbre, we made it possible. More info about this function can be seen in our tutorials tab, where we are demonstrating this function in a tutorial video! With FULL version of Korg microKxR plug-in, you can automate almost every parameter right from your DAW without having to remember all of the CC's. Control your Korg microKorg hardware synthesizer from your DAW over MIDI. 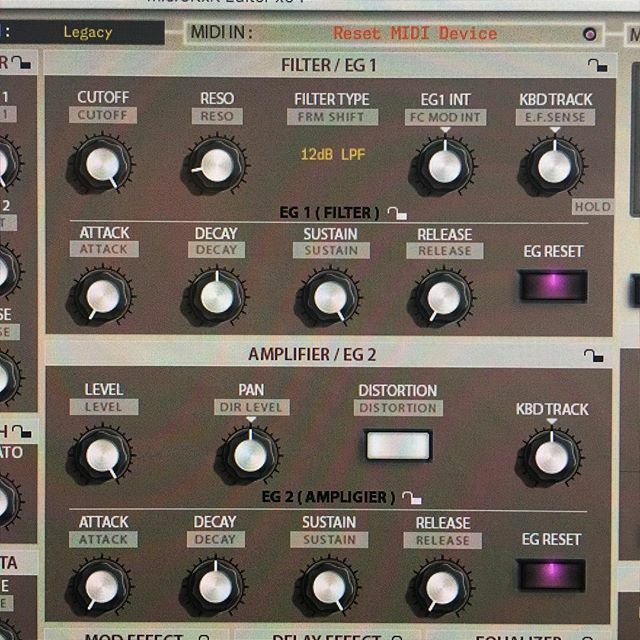 Edit almost every parameter of your synthesizer from our plug-in. We added almost 500 parameters to the plugin (2 timbres) so the sound editing should be painless and quick task. Automate almost every parameter in your DAW. Changing timbre from plugin changes timbre in hardware and vice versa. Parameters that are available for automation will be listed on your DAW. (Ableton Live can’t see our parameters, until you touch a knob / button). Total Recall of the sounds used up on project reload. Store patches to your microKorg from the librarian. Request banks from your microKorg to the librarian. Request patches from your microKorg to the librarian. View & edit patch name in plug-in interface & librarian. Librarian supports MIDI and SysEx soundset formats from MS2000 / microKorg models. Download and import all of the MS2000 / microKorg soundsets in one folder for quick access through the plugin. Each timbre can have its own patch. Each timbre has its own parameters which you can automate from your DAW. Korg microKorg Synthesizer (1st generation). Mystery Islands Music microKxR Editor & Librarian plugin for macOS and Windows platforms. AudioUnit and VST included for both, 32 and 64 bit DAWs. Korg MS2000 & microKorg Preset Banks included. Use hashtag #microkxreditor to showcase your microKxR plug-in usage!